1. Log into my.acatoday.org using the same login you use for ACA's main site. 2. Fill out your profile. We want to get to know you! - To add a profile picture, click Actions underneath your avatar, then select Change Picture. A window will appear, where you can drag your new profile picture into the window or click Choose File and select the picture you want to use from your computer. Once you're finished, be sure to click Save. 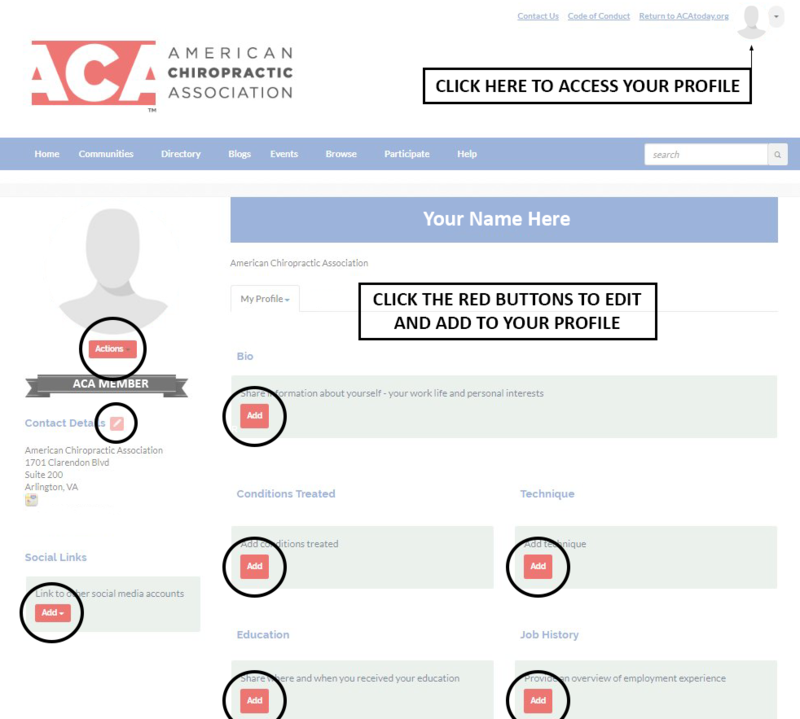 - To add information to any of the remaining fields on your profile, click the various Add buttons, complete the form that appears, and click Save.